Hi Dolls. How are you? Today has been a hectic day for me. I went to Austria to do some shopping yet again. Yay :) (post about it COMING SOON). I also went to the VipShow. If you are from Slovenia you know what I'm talking about. It's a new show on Pop Tv that is hmmmm very similar to The Ellen Show I would say. It's funny, the host help other people (they make wishes come true), it has lots of famous guests (singers, actors, hosts etc.) 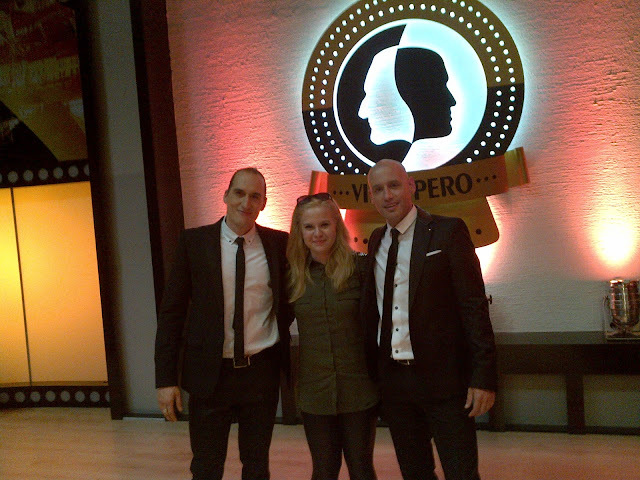 The hosts are Vid Valič and Peter Poles, who are actors and stand up comedians; and I was lucky enough to meet them. They are even funnier in person and very down to earth. Anyway just wanted to post something about my day. I had the best time. I can honestly say today I did something for my YOLO motto :) hahaha. Just kidding. Going to bed now. Have a nice dream. Bye. thanks for the love hon, I'm following you on bloglovin' too! Wow I love your style and your blog. Kisses from Spain.